It is estimated that 20% of middle-aged dogs and 90% of older dogs experience the pain of osteoarthritis in at least one joint in their body. This disease can be both crippling and painful. Proper management can offer hope for treating and preventing the disease. The pain and stiffness commonly called ‘arthritis’ can be one of two concerns: Rheumatoid arthritis or Osteoarthritis. Rheumatoid arthritis is a fairly rare autoimmune disorder where the pet’s body attacked its own joints and soft tissue, destroying them over time. Osteoarthritis, the more common condition, is caused by the normal wear and tear of the joints that break down cartilage. An injury can also trigger this. In the early stages of osteoarthritis, you may only notice mild lameness in your pet, occasional stiffness or slowness getting up. At this point, there is likely to be some mild joint inflammation and some slight cracks in the cartilage. Treatment at this stage can be as basic as either managing the pet’s weight to avoid stress on the joints, or adding supplements such as glucosamine, chondroitin and omega 3 fatty acids to reduce inflammation and protect the cartilage from further damage. By the middle stage of osteoarthritis, the pet is in chronic pain. You may notice limping, avoidance of stairs and difficulty jumping up. At this stage, bone spurs may be forming, the spaces between the joints are narrowing and the cartilage may have thick cracks in it. Treatment now includes medications to manage the pain and swelling, as well as weight management and supportive therapies from the early stage regime. 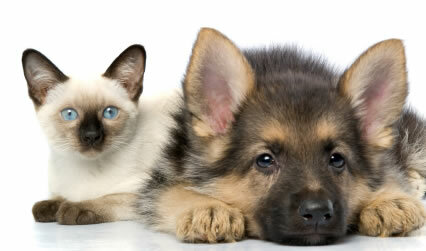 Joint injections can help – WestVETS offers stem cell therapy which has excellent results. Advanced stages of osteoarthritis can be heartbreaking. At this point, nerves may be exposed and the pet may have bone-on-bone contact in the joint. Severe lameness and swollen joints are the norm. Your pet may need assistance with basic tasks such as going out to urinate or even eating. Rest, pain medications and in some severe cases, surgery, may be your only option. So, how do we diagnose the disease? In addition to evaluating your pet’s movement, your Vet will manipulate each joint during the physical examination. Fluid is sometimes extracted for further evaluation. Xrays help confirm the diagnosis and indicate the extent of the damage. Blood tests help distinguish osteoarthritis from rheumatoid arthritis. What can you do to help your pet? Keeping pets at their ideal weight may be the single most important element to an arthritis prevention program, and secondly bolstering the joints cartilage and tissue with antioxidants and supplements can also be helpful. If you have any concerns about your pet’s health during these Winter months, do not hesitate to phone us on 3202 7300. Typically, prevention is better than cure.